COMES TO TORONTO FROM March 21 – 23, 2014! TORONTO, ON— Hit the road with Mickey Mouse and your favorite Disney friends for a hilarious talent search in the all-new Disney Live! 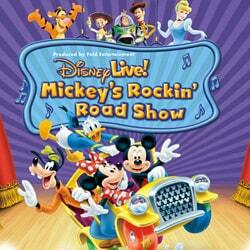 Mickey’s Rockin’ Road Show! Featuring classic characters in an original storyline, this all-new stage production plays at the Sony Centre For The Performing Arts from March 21-23, 2014. Mickey, Minnie, Donald and Goofy set out on a zany road trip where audiences join in and help find the coolest acts around. Along the way, hit a high note with Cinderella; get your bounce on with Tigger; and shout out your loudest “yee-haw” at a hoedown with Woody, Jessie and Buzz Lightyear from Disney/Pixar’s Toy Story! Grab your family for a fun-filled getaway at this live, show-stopping adventure jam-packed with unexpected twists, turns and hijinks —right in your hometown! For details, visit us at www.avcommunications.ca/disneyonice or call 416 866 8882 x 113 or e-mail. 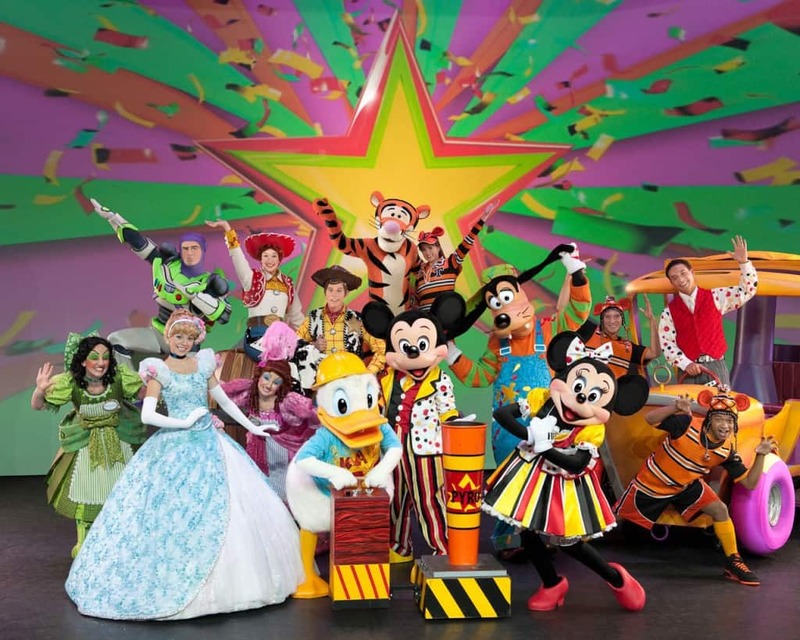 MomMomOnTheGo is excited to announce an awesome giveaway for a Family of Four tickets to Disney Live for the March 22nd, 2014 show at 10:30 am @ The Sony Centre in Toronto. This giveaway is open to residents of Canada who are over the age of 18 and where permitted by local laws to enter and win giveaways. Please note that the prize does not include transportation to and from the show or any other incidental costs associated to attending the show. Please read all terms and conditions found at the bottom of the entry form. My son would love to see Mickey and Goofy! My daughter loves Minnie and my boys love buzzlightyear! Jesse – my niece loves toy story. My 2.5 year old would LOVE to see Mickey Mouse, his favourite! He would bring his Mickey that he never lets go of! My son would love to see Mickey, he is a huge fan. My son would love to see Buzz Lightyear and Woody. My son would love to see Mickey Goofy Donald Daisy and Minnie. He loves them all the same. Little one would love to see Mickey dancing! !